Thailand is one of the most popular countries in South East Asia and it’s usually one of the first destinations people consider when they think of traveling to Asia. Bangkok, its most popular city, is a sprawling and thriving metropolitan hub, full of ancient ruins, extravagant palaces and Buddhist monasteries, while also being popularly known for its nightlife and shopping districts. There are a lot of great resorts in Bangkok, Thailand, and below you’ll find the best ones. 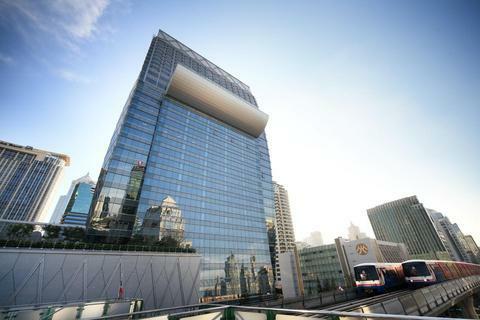 The Mandarin Oriental Bangkok is located smack right on top of the river, and you have to use a shuttle boat to carry you to BTS Saphan Taksin. This luxury resort was built back in 1876, and it’s a perfect example of how Bangkok is a city that mixes the most advanced cosmopolitan aesthetics into a traditional Thailand charm. The resort has a vast and sprawling lounge area which seems to positively gleam and shine. The resort has everything one could ask for, including amenities such as an ayurvedic penthouse, a spa, and a cooking school. As such, you don’t really even have to step out of the resort if you don’t want to. The resort also has a very colorful history. Its been known to entertain some famous guests such as writer Somerset Maugham (who fell sick with Malaria in his suite), and Billy Idol (who, in perfect rockstar fashion, destroyed his room.) The resort also has a wonderful spa right there on the river and it comes with 15 great treatment rooms. Some of the rooms even feature their own hot tubs and showers. They offer a wide range of treatments such as Aromatherapy Associates massages, Oriental Signature Treatment, and acupressure. You can also visit the yoga rooms, if that’s more your thing. The interiors of the resort have been decorated in a style that’s luxurious yet not opulent, and the fabric used in the resort is mostly in the traditional Thai style. If you’re looking to be in a more contemporarily decorated room, you can use one of the rooms in the main wing. The Siam is a luxurious resort in the historic district of Bangkok, and as such you can easily visit all the temples, museums, etc, if your interests lean more towards exploring a city’s culture. The hotel also has a river boat and in it you can travel just about anywhere in the city. However, the Siam is mostly ideal for only those tourists who care about sightseeing because it’s quite far from downtown Bangkok. The resort has been designed in a sleek and contemporary style with gleaming marble hallways and an Art Deco aesthetic bearing classical influences. 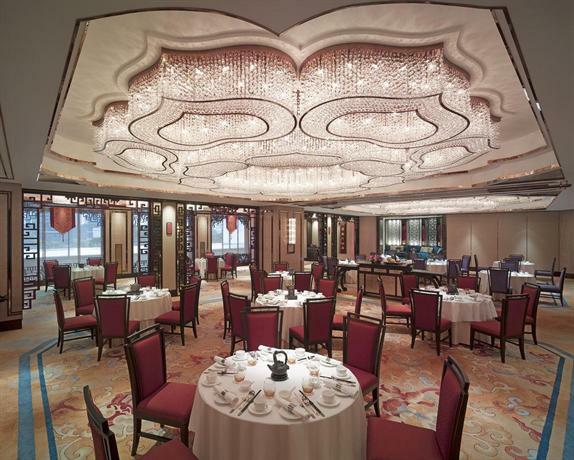 The resort’s aesthetic design is a perfect example of the fusion of western and eastern influences. 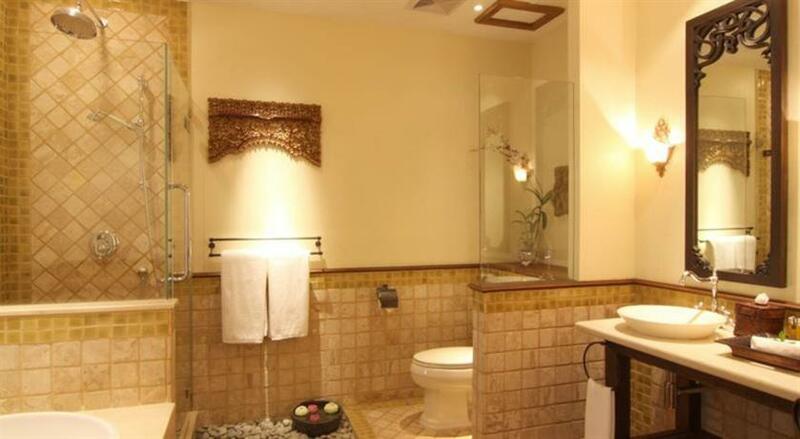 In typical luxury resort fashion, it comes equipped with a whole lot of amenities that you can avail of. There’s a 23 meter long swimming pool, yoga classes, a fitness center that’s even frequented by Thailand’s royalty, a theatre, and even a beautiful restorative spa. One of the aspects of the Siam that truly makes it beloved of all its guests is that they offer staff members as tour guides so you can explore the city as a local, dining out at the little hideaways of the city that tourists generally don’t know about, and discovering street food, etc. There are 28 rooms in the resort, however all of them are grand enough to be suites with high ceilings, and spacious bathrooms with grand bath tubs. The walls of all the rooms are lined with original artworks and photographs, and the furniture is largely made of dark wood. The Siam Kempinski Hotel Bangkok is the perfect resort for all the shoppers to be at. it’s located right next to one of Bangkok’s most popular shopping areas Siam Paragon Mall, and it’s within close vicinity of all the other shopper’s heaven stops such as Central World, and the streets in Pathuwan. All of these areas are full of charming boutique stores and cafes. Bangkok’s markets are known for their versatility, style, and reasonable rates, and if you enjoy Shopping, this is the ideal location for you. This resort is also very well connected to the rest of the city because it’s within 5 minutes of the BTS station. The lobbies and public areas are made of glass and marble, and they feature some stunning furnitures. The walls of the hotel are lined with Thai artworks, and you can see beautiful floral arrangements and displays in every corner. The hotel also features a beautiful inner courtyard with swimming pools and a calming, restorative spa. This resort is also ideal for you to be at if you’re visiting Bangkok for a long period of time because all of the 303 rooms and 98 residences come equipped with fully-functional kitchenettes and washing machines. 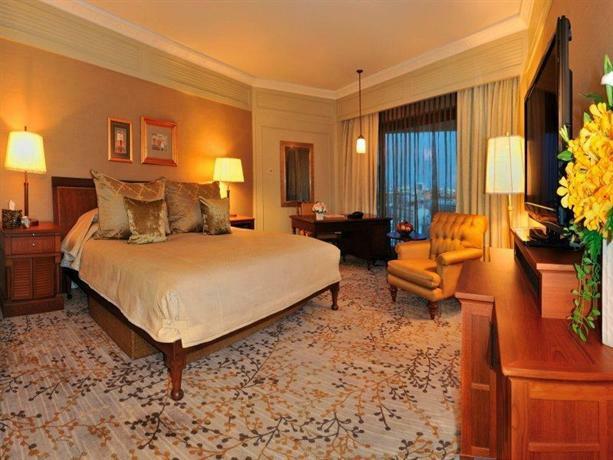 The rooms feature neutral silk wallpapers, and the bathrooms have glass walls with silk drapes. As such, you can very well spend an entire vacation here. However, if you want to truly live in luxury, you need to get one of the Cabana Rooms with access to a private pool and a terrace. 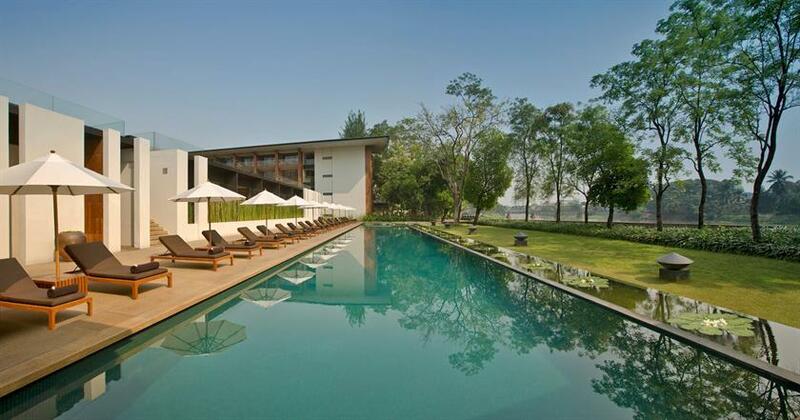 The Anantara Chiang Mai Resort is located in the banks of the Mae Ping River. It has been strategically positioned in such a way so that it’s within a short walk of the thronging markets and temple sites, but it feels solitary and secluded. As such, it offers the best of both worlds. You can be connected to the life of the city, while still being slightly outside of it. The building that now houses this resort used to be home to a British Consulate back in the 1920s, and some of the aesthetic embellishments of the time, such as the bamboo fixtures, have been retained. However, the bamboo details have been incorporated into a largely modern and contemporary aesthetic design, such that it leads to a perfect fusion of the old and the new. The resort has been designed in a manner so as to encourage the flow of airways between the hallways and passages, which always makes it feel breezy and bright. Like most resorts, this too has a beautiful swimming pool and a wellness spa. However, it also offers a wealth of other activities, such as aerobics, tai chi, and cooking classes. These are all interesting activities you can immerse into if you’re staying for an extended period. The resort has been established over four floors, and all of the rooms either have a view of the inner courtyard or the river. In addition to that, the rooms are spacious, the bathrooms have been made with red tiles, and they feature deep terrazzo bathtubs. 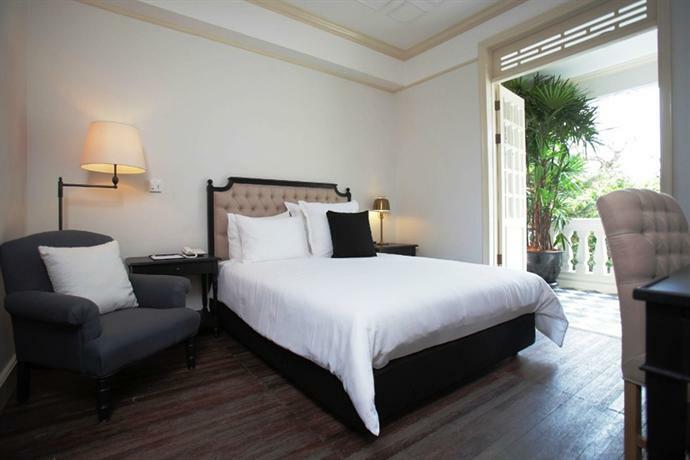 The Ariyasom Villa is located in the midst of downtown Bangkok, and it’s just a few minutes away from Sukhumvit Road and the Ploenchit sky train station. The resort is located right next to a canal and you can get river boats to explore all the major sights of the city such as the Jim Thompson House, Golden Mount, or even the city’s historic district. This resort truly stands out amongst all the other resorts and hotels in Bangkok because it’s been designed in the stylings of a residential villa, and thus it offers a far more intimate setting than most other resorts in the city. The building on which the hotel is housed had been created back in 1942, however it was transformed into a resort hotel in 2008. One of the most beautiful attractions of the resort is the central courtyard, which is full of beautiful and dense foliage. Another great feature of this resort is the fact that it leans more heavily on its Thai influences in terms of architectural stylings. While most resorts remain decidedly contemporary or modernist, the Ariyasom Villa features antiques and heavy teak furniture in typical Thai fashion. This provides a more authentic experience as well. The swimming pool is large and also has a section for the whirlpool tub. They also have a buddhist monk who comes in to give meditation classes to the guests. However, the only complaint is that the fitness center and the spa are quite small in size, and the latter only has a few therapeutic rooms. 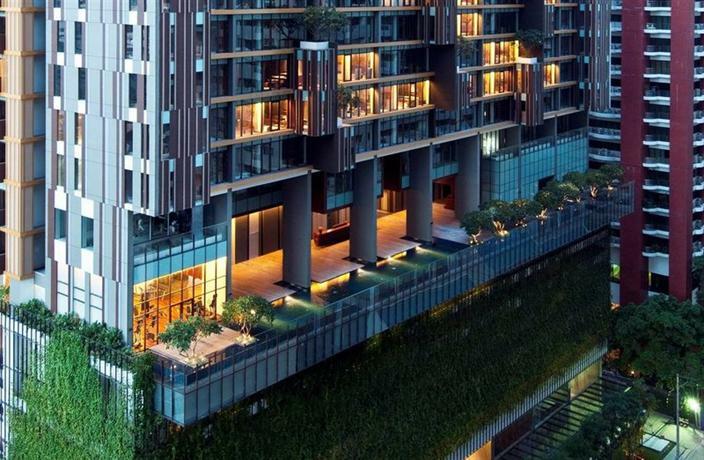 The Okura Prestige Bangkok Hotel is located quite close to the Sukhumvit Road area, and it’s also within a short walking distance of the Sky Train and as such it’s perfectly located to explore the whole of Bangkok city. This resort is luxurious and attractive, however it’s not vibrant enough for Bangkok’s generally thriving and colorful aesthetic. The reception for the resort is 25 floors high, and from the infinity pool and restaurant you get a sweeping vista of the city below. As befitting of a luxury resort, they also have a spa and a gym. The Peninsula Bangkok is located west of Chao Praya, and you can easily take the ferry to the Saphan Thaksin skytrain station to explore the rest of the city. It’s not as well located as some of the other resorts in this list, however it’s well enough. The resort is a part of a luxury franchise, and as such it’s been designed in an international contemporary style, with only a few Thai touches to personalize it to the city. It’s fairly generic but if you’re looking for luxury, you’ll find it. The pool, at 60 meters, is incredibly long, and the spa has its own building and is spacious and calming. 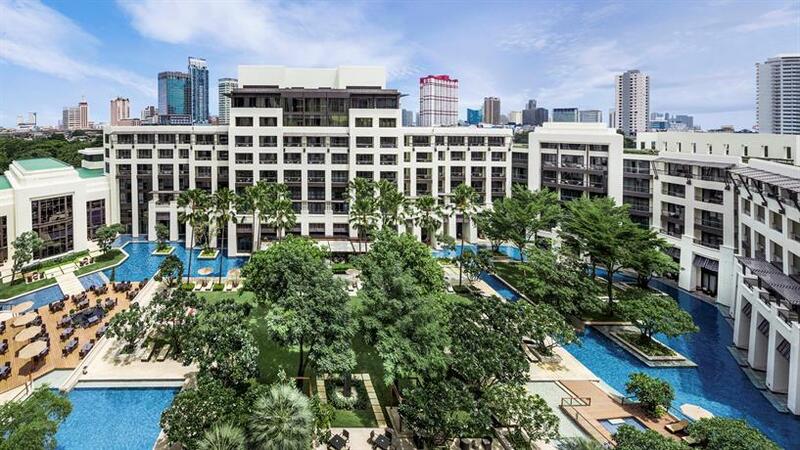 The InterContinental Bangkok is located right next to the Chit Lom skytrain station, and as such you really couldn’t ask for a resort better connected than this. This resort hotel is also ideal for people who enjoy shopping as it’s located right next to the Emquartier, which is the most luxurious shopping center in all of Bangkok. This resort, another international franchise, is typically luxurious and stylish with some Asian touches in place. The spa in the resort is grand and perfect with whirlpool tubs. The hotel pool is located on the rooftop from which you can look down at the city. The Hansar Bangkok is located a few minutes away from the Ratchadamri Sky train station and as such you’re well connected to the rest of Bangkok city. If you’d like to visit some of the shopping malls such as Siam Paragon or the Central Embassy, they can be reached easily via taxi. The resort is designed in a typical luxury resort style, contemporary with Thai influences, however its luxury is very subtle and understated rather than being opulent. There’s an infinity pool on the 8th floor of the resort and it’s 25 meters long. The spa has been fitted with teak floors, and features a number of plants in place to make it feel restorative. They even have one treatment room for couples. 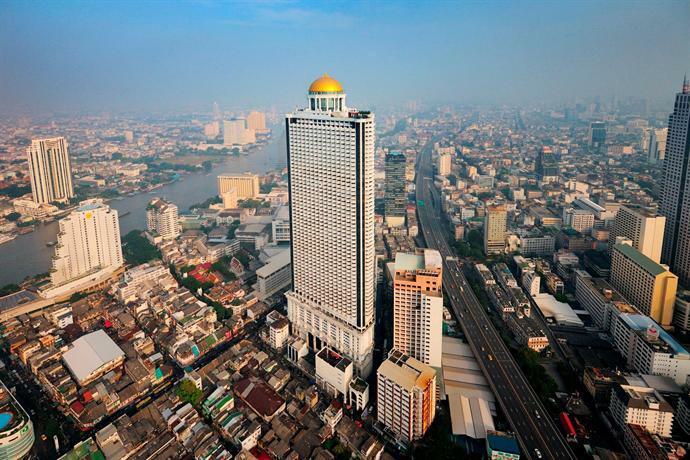 The Shangri-La Hotel Bangkok is located along the Chao Praya river, and it’s the longest resort in the vicinity, stretching out for one quarters of a mile towards the Saphan Taksin bridge. You can take a quick water boat ride to the historic center of the city. Alternatively, you can walk over to the nearest sky train and go downtown, depending on your preferences. Either way, the resort is perfectly placed to be close to both options. The resort also comes with two swimming pools, two tennis courts with a river-side view, and a gym that also provides complementary yoga, aerobics, and Thai boxing classes. The Cabochon Hotel is located at the end of Sukhumvit Road, and it’s within close vicinity of Thong Lor BTS Sky Train Station and the Emporium shopping plaza. This resort has been designed in a trendy and highly personalized style. It’s unique. The entire resort feels warm, intimate, homely, and restorative. The aesthetic of the resort feels like it’s halfway between Shanghai and Colonial. One of the eccentric details of the resort is the fact that the walls of the resort are lined with stuffed toy animals. The pool on the rooftop of the resort is 25 meters long and offers a beautiful view of the city of Bangkok all around. 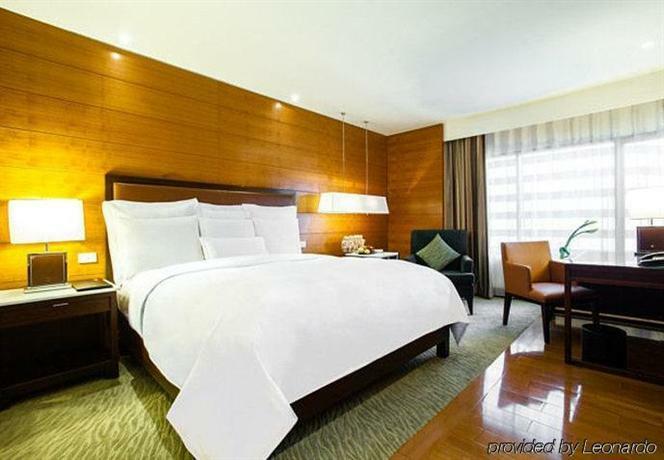 The JW Marriott Hotel Bangkok is located in the very center of the city, and it’s quite close to Sukhumvit and Nana, which is the prime spot in the city for all the restaurants and bars. 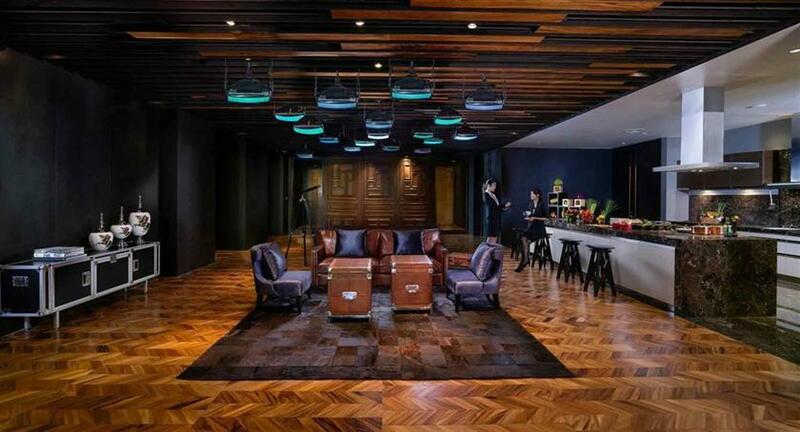 The Marriott Bangkok is an international franchise, however it’s more reliant on the local stylistic aesthetic than most other resorts of this stature. One of the notable aspects of the resort is the fact that its staff is well trained, courteous, and incredibly helpful. In fact, during the urban unrest that took hold of the city in 2010, the staff went out of their way to ensure that all the guests remained safe and calm. 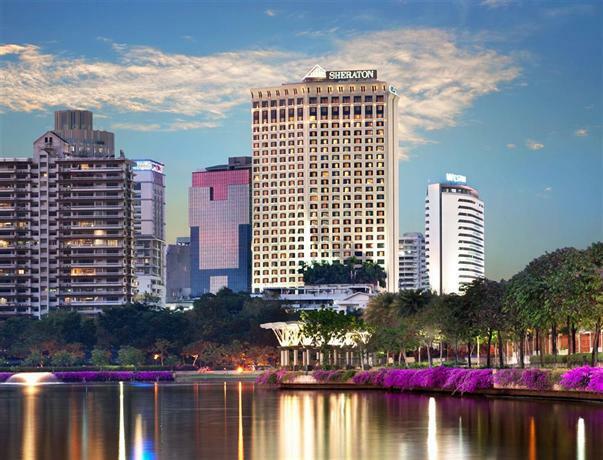 The SO Sofitel Bangkok is located within close vicinity of Lumpini Park, which is the greenest area of the city. This resort is all about being hip and trendy, and to that end even the staff of the resort wears a considerably wacky and fun uniform. This resort is unique and bold in its aesthetic sensibilities, and that makes it stand out. The infinity pool of the resort enjoys a beautiful view of Lumpini Park. The spa in the resort isn’t too spacious but it’s well enough and it’s designed in a manner that’s halfway between French and Thai. 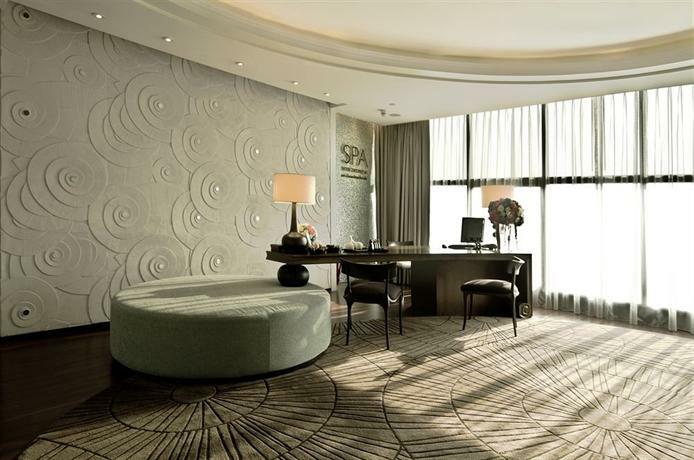 The Sheraton Grande Sukhumvit is a luxury resort located perfectly for all the shopping tourists. It’s within close vicinity of a number of high end malls and shopping centers. It’s also close enough to enjoy the nightlife offered by Sukhumvit Road. The resort is modern, contemporary, and bears Thai influences in design. The pool twists past a courtyard, and they have a spacious gym, spa, and even a concert space that frequently plays jazz. The Tower Club at Lebua is Thailand’s third highest building and it’s located east of Chao Phraya River, close to the business district of the city. 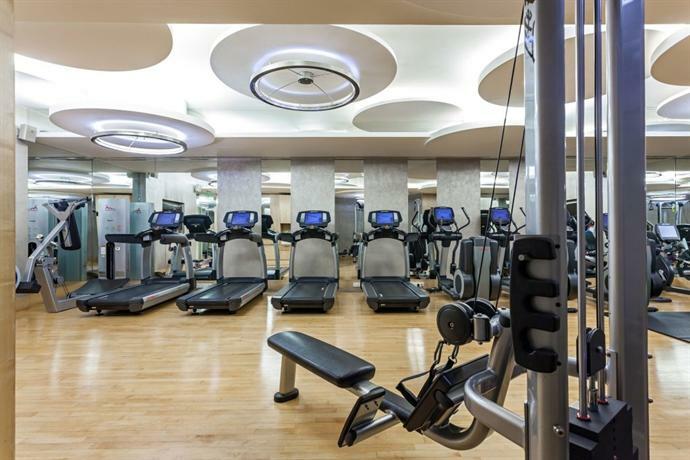 This resort is typically luxurious, grand, and it features all modern and luxury amenities such as a gym, a spa, and a pool, most of which are located in the same floor. There are 221 rooms in the resort and they’re all quite large, and they enjoy views of the adjoining river.